Beverly Hills was one of the inspirations of the Yazbukey Spring/Summer 2013 Collection, entitled « Tropical Heatwave ». The Rodarte Spring/Summer 2014 Show was a tribute to the City of Angels. 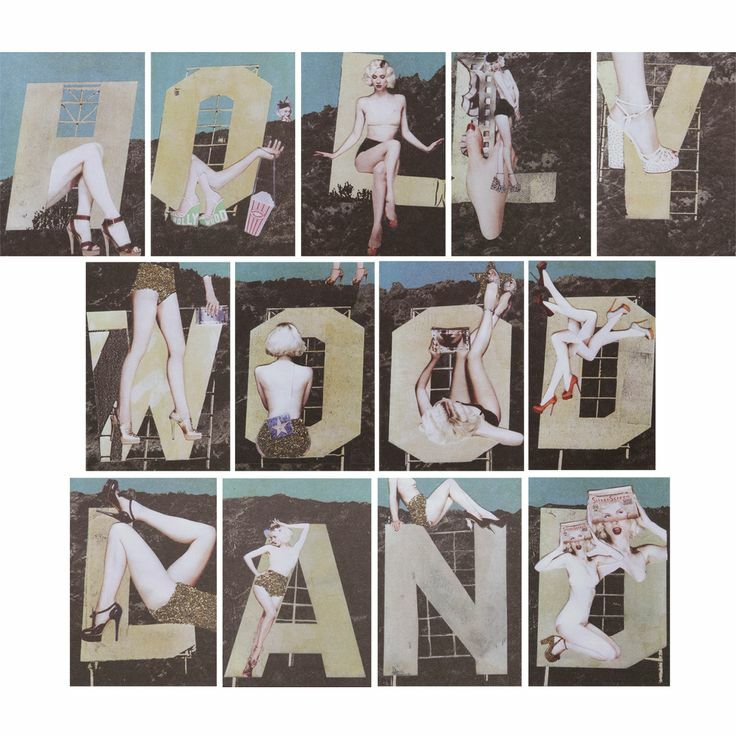 To read about other Los Angeles-inspired collections, search for the « Los Angeles » post that I have published on December 4, 2013. John Lautner’s Chemosphere House has inspired the Clover Canyon Spring/Summer 2014 Collection. Furthermore, Katy Rodriguez presented her Frida Kahlo-inspired Spring/Summer 2009 collection, titled « Mujeres Verdaderas / Real Women », in a John Lautner-designed glass house in Los Angeles. Moreover, in 2011, the Steven Klein-shot Dior ad campaign, for the « Lady Dior » bag, starring Marion Cotillard, was photographed in a Los Angeles house, created by John Lautner, and, in the same year, Tom Ford rented the John Lautner-designed Arthur Elrod House, in Palm Springs, for shooting the campaign of one of his perfumes. 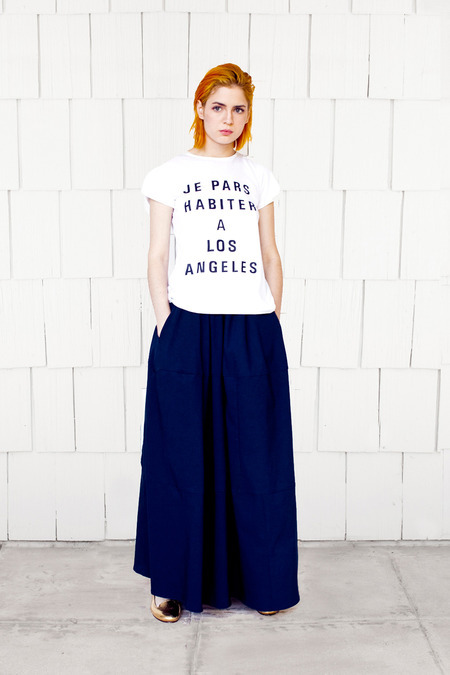 The fascination with Los Angeles, and the City of Angels’ numerous layers, have influenced the Jasmin Shokrian Spring/Summer 2014 Collection, which features a « Je pars habiter à Los Angeles » (« I’m going to live in Los Angeles ») slogan. Other Los Angeles-inspired collections : Christophe Lemaire Spring/Summer 2009 (this « Sounds from L.A. » T-shirts line paid tribute to Californian musicians and record labels such as Human Ear Music, Softboiled Eggies, and Stones Throw Records), Emanuel Ungaro by Giambattista Valli Spring/Summer 2004 (this show was partly inspired by Giambattista Valli’s then-recent trip to Los Angeles), Nanette Lepore Resort 2014 (Venice Beach and the personal style of Los Angeles-based bloggers such as Aimee Song and Shea Marie influenced this collection), Rodarte Spring/Summer 2014 (this show was an homage to Los Angeles), RVCA X Erin Wasson 2009-2010 (this collection mixed Los Angeles’ street beach culture and New York’s style), vanessabruno Spring/Summer 2011. The colors and the landscape architecture of Palm Springs have inspired the Monique Lhuillier Resort 2014 Collection. Other Palm Springs-influenced collections : Banana Republic by Trina Turk Spring/Summer 2012 (this line of summer wear, launched in June 2012, featured Palm Springs-influenced prints, taken from Trina Turk’s archive), Barbara Tfank Resort 2010 (Barbara Tfank’s then-recent vacation in Palm Springs inspired this collection), Chris Benz Resort 2010 (this collection was based on Chris Benz’s trips to Palm Springs, to his grandparents’ home, when he was a child), Clements Ribeiro Pre-Fall 2012 (a « Palm Springs hostess » was the muse of this presentation), Douglas Hannant Resort 2011 (Palm Springs was one of the references of this show), Emilia Wickstead Autumn/Winter 2011-2012 (in part), House of Holland Spring/Summer 2011 (the ’70s feel of this show partly drew inspiration from Henry Holland’s then-recent trip to Palm Springs), Michael Kors Resort 2014 (this collection pays tribute to Michael Kors’ recent trip to Palm Springs), Versace Spring/Summer 2006 (this show took its inspiration from Palm Springs’ colors and landscape). Charlotte Olympia’s Pre-Fall 2013 Collection, titled « Hollywoodland », pays tribute to old Hollywood glamour. Other Hollywood-inspired collections : Celine by Ivana Omazic Resort 2005 (this collection, dubbed « Hollywood Resort », was partly based on Beverly Hills’ actresses), John Galliano Spring/Summer 2010 (this show paid homage to old Hollywood heroines), Topshop Unique Autumn/Winter 2011-2012 (the theme of this show was « old Hollywood legends meet the One Hundred and One Dalmatians »). Katy Perry’s « Last Friday Night (T.G.I.F.) » music video, directed by Marc Klasfeld, and ’70s and ’80s Californian teenage culture influenced the Fleamadonna Spring/Summer 2014 Show. Some Katy Perry’s collaborations : ghd (in 2011, Katy Perry was the face of the David LaChapelle-lensed ad campaign for the « Iconic Eras » styler), H&M (Katy Perry designed a T-shirt, launched on May 28, 2009, for H&M’s Fashion Against Aids ! line, to support Designers Against Aids). Furthermore, Katy Perry has launched several fragrances, « Purr » (with Gigantic Parfums), in November 2010, « Meow ! » (with Gigantic Parfums), in November 2011, and « Killer Queen » (with Coty Inc.), in August 2013. To read about other items with cherries, search for the « Cherries » post that I published on March 6, 2012. To read about other California-inspired collections, search for the « California » post that I published on September 3, 2012.